Click on photos to see primary documents on the history of the building of the Corinth Canal. Solving the geographic problem of a faster method of travel, the idea of a canal began as early as 602 BC. Go to math conversions(http://www.sciencemadesimple.com/conversions.html) and find the length (6346m), width(24.6m) and depth of (8m) the Corinth Canal. View Mt. Olympus and read the stories about the ancient Greek gods' home. 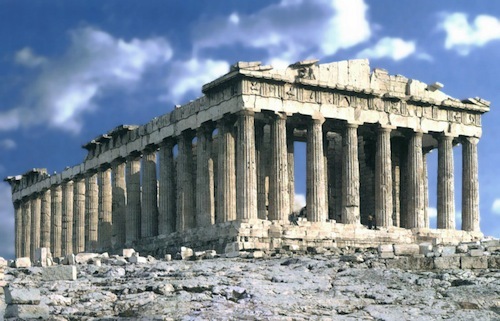 Check out my complete resource on the Ancient Greeks at my TpT Store:Let's Explore the Ancient Greeks! In addition to notes,I have included lots of additional resources, websites and activities that you might find of value.